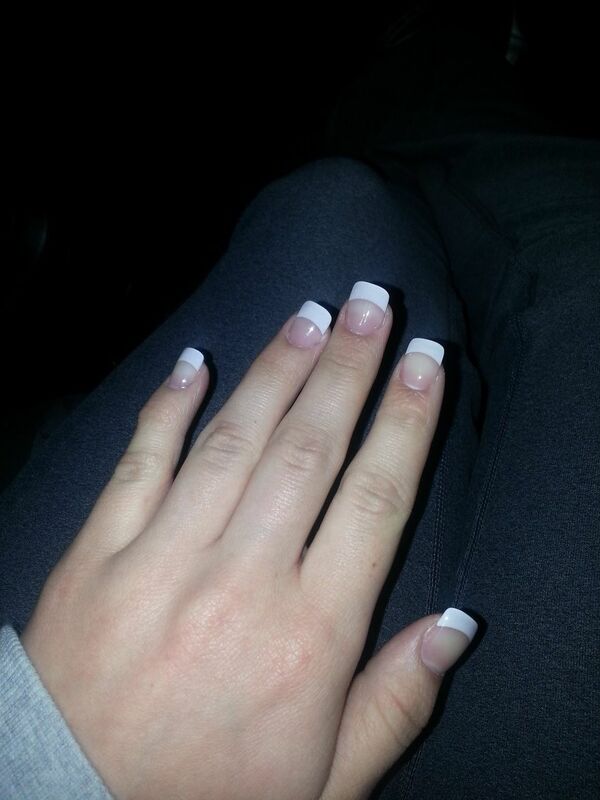 Today, as I posted earlier, I got my nails done. They are french tips and they look fantastic! After that, my friend JoAnna and I needed to go shopping for a bit, so we went to Sally’s because she need to get some new hair dye, then after that, we headed to Target for swimsuit shopping, that didn’t happen because none of them were cute. I have my old one somewhere. I wanted a one piece this time, for some reason. What I did buy instead of a swimsuit was chocolate, and a new headset/headphones. They are Skull Candy Crushers. They are pretty amazing and it was sort of an impulse buy and the best one yet! I then got food and went home. Tomorrow morning I have my first yoga class with my friends, and I am so pumped and nervous! Its hot Yoga and I got awesome deals! I need to go back to the studio anyway and get my email changed, because they got it wrong. It happens. My class is at 8 in the morning, so I need to get to bed or else I won’t go and I really want to. Wish me luck!